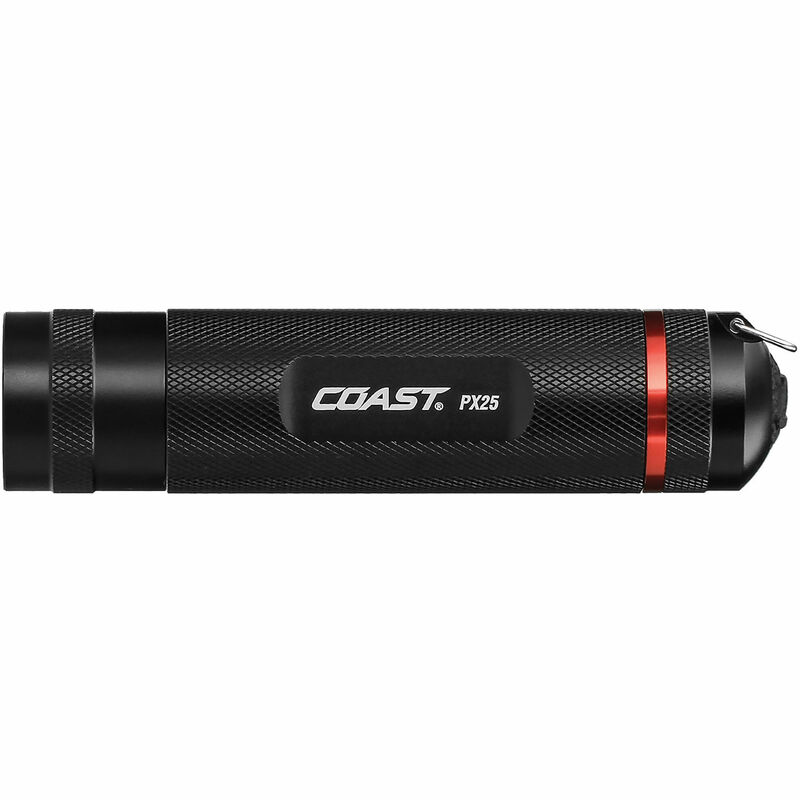 Combining a compact and lightweight form factor with a powerful beam that is optimized for a long throw, the COAST PX25 Bull's-Eye Spot Beam LED Flashlight will be your constant companion in the field or when the lights go out. It has a single output of 275 lumens with a prefocused Bull's-Eye beam that is defined by a far throw with a bright center of light that transitions to a dimmer spill. This lets you put maximum illumination on a single point while still maintaining awareness of your surroundings. The output is controlled with a simple on/off push-button switch on the tailcap. Its housing is made of a lightweight and durable aluminum alloy that is treated with a scratch-resistant black anodized finish. It is also sealed to a weather-resistant IPX4-rating to stand up to rain and snow. The PX25 comes complete and ready to go with three AAA batteries and a sheath so it'll always be close at hand when you need it.